Non-Water Sanitation e.V. 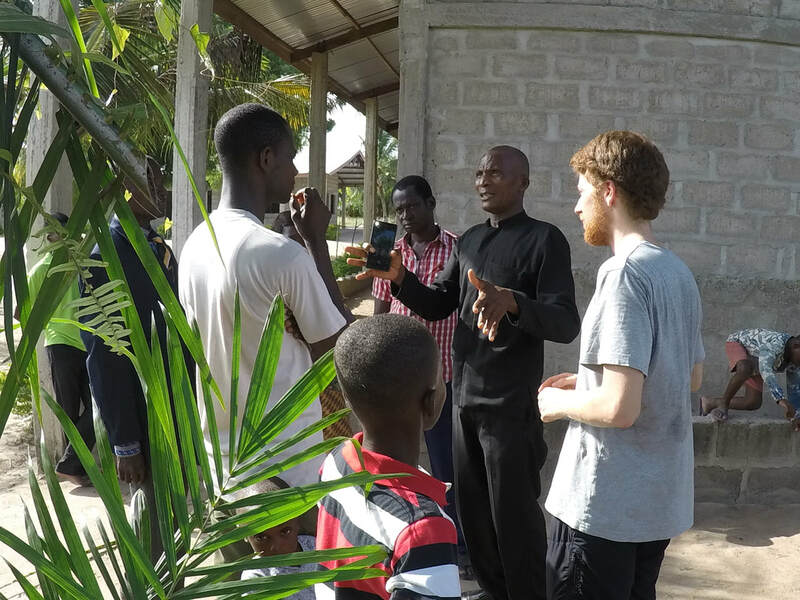 has been exploring possibilities to create a positive impact in Ghana since November 2017. During the last months, we have build strong ties with local NGO's and have identified the first projects we will be implementing during the course of 2018 - 2019. Two of these projects in the pipeline are presented below. Other projects still require the feedback and Go of local government representatives or partner organizations. Medie is a town just outside of Accra on the road to Kumasi with around 25.000 inhabitants. The socio-economic structure is mixed with having around 1/3 being farmers and the rest working in a few local factories, as owners of a petty shop or commuting to Accra. At the moment there are 3 public toilets with each serving around 1.000 people per day. A visit to the public toilet costs around 0,5 GHC (~0,20 €). Apart from this they are in poor hygienic conditions despite a cleaning service, and have limited opening hours. Waste water streams and solid wastes are all over the town. Water is cut of regularly and many households need to fetch water from a distant borehole. However the town is fairly developed in regards to housing, availability of electricity, or mobile phones. Our local partner on the ground is the NGO “Move the World” which does community building and education through music and dancing for the last 5 years. They will help us in the education part of the project. The town is also eligible for funds from the regional governmental sanitation fund for constructing household toilets. This can cover some costs, however the households are not able to contribute their 30% of the costs because of their poverty. 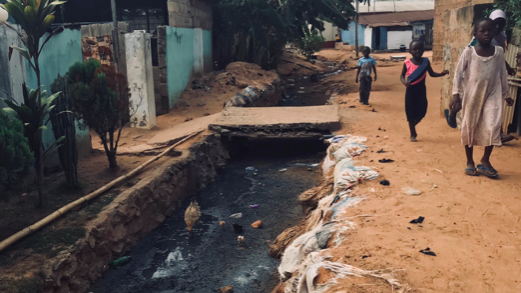 The city of Medie, just north of Accra with approximately 25.000 inhabitants has only a few public toilets for its inhabitants which are often extremely unclean and there is a need for improved sanitation. An ecological sanitation project for 1000 households. The project will directly contribute to the creation of jobs, improve health, bring opportunities to the community and engage local WASH champions. Activities will center around awareness raising, demand creation, training, coordinating the construction of toilets and business model validation and engaging the local youth to make sanitation their ‚business‘. is quantifiable in the number of people going from OD to using toilets, the amount of water saved, jobs created, the improvement of the community’s health, as well as the money families save by switching from the use of public toilets to the proposed models.